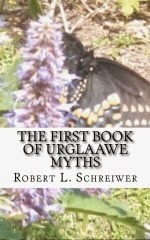 After three years of engaging in interview, piecing together the notes from those interviews, and connecting dots in our folklore, we are pleased to present The First Book of Urglaawe Myths. There is, of course, a reason that it is called the "first" book; there are still more notes to pore through! 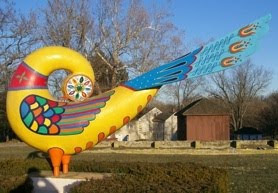 Cryptozoological creatures, deity interactions, and ancestor interventions are all here! This little booklet consists of eight myths, most of which have been published on the Deitsch Mythology blog in the past. All profits from the sale of this book go to Distelfink Sippschaft's operations, which include engaging with the community to find the myths, remnants of myths, and folklore that is critical to understanding the Heathen mindset in the Urglaawe context.